Now the prospect of a children’s fashion shoot with Ten Little Monkeys with Tiger Feet, is enough to fill any fashion photgrapher with dread. So I was really relieved when I found out that, actually, these were two of Cheshire’s coolest children’s fashion boutiques. 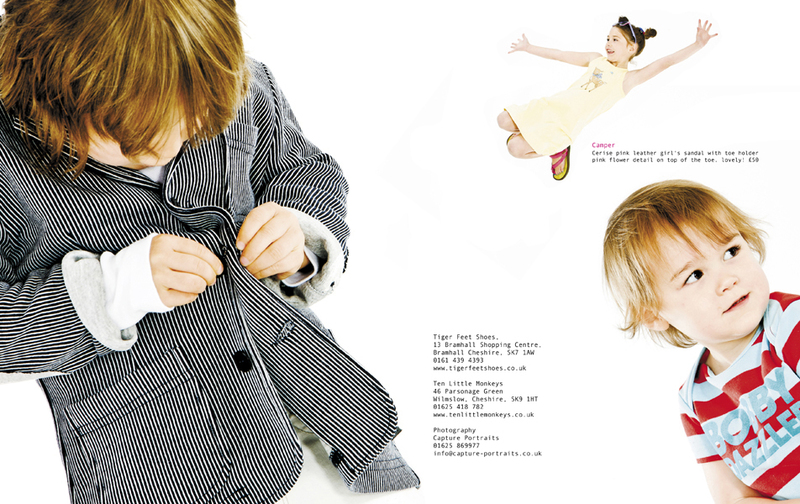 (tenlittlemonkeys.co.uk and www.tigerfeetshoes.co.uk) And I wouldn’t be working with real monkeys’, but two perfectly behaved, extremely professional Manchester child models. 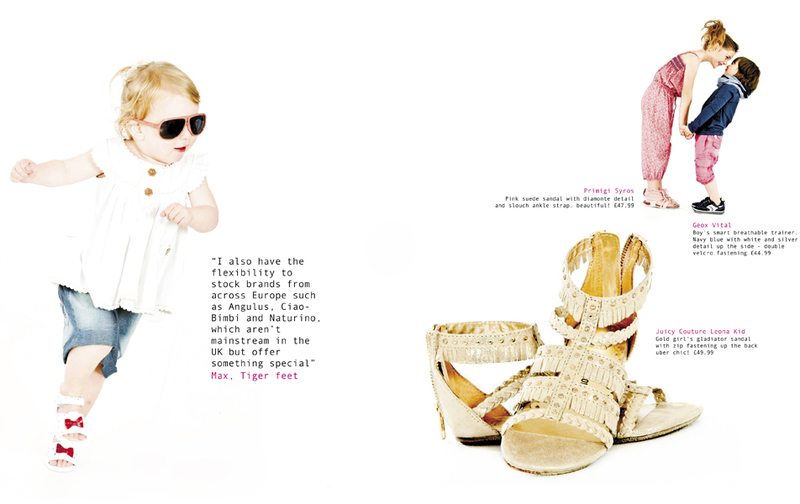 Kids’ fashion shoots, can sometimes be unpredictable. As many children’s fashion photographers will testify! But, I have to say, we had so much fun and our Manchester models knew just how to work the camera, as well as show off Ten Little Monkeys and Tiger Feets’ new season’s fashions perfectly. The overall outcome was a really great shoot. Was it down to their talent, the boutiques’ fashions, or in the expert skill of one of Manchester’s finest fashion photographers?…Ahem. I’ll let you decide. Take a look at my gallery, and if you want to see more, just let me know. Thanks to everyone involved, for a great shoot.